How my views on #mentalhealth changed. Not having suffered from a mental illness I can’t fully understand what someone who battles with such an illnesses goes through on a daily basis and the range of emotions they feel. However since working for a health trust provides both community and mental health services I have been fortunate enough to have met a range of people who live with their illnesses and have won the small battles to be able to live a normal life. I developed a better understanding of what mental health is, it isn’t just about the illnesses that you hear about on the television like schizophrenia, bi polar, depression etc it covers so much more; anxiety, postnatal depression can affect both parents not just the mum, eating disorders, autism also comes under mental health. We need to move away from defining people by their illness, not every person with the same illness will behave the same way. They are people with feeling and emotions first, their illness is secondary. I have written about mental health from an employment point of view in the past since then mobile phones have evolved to mini personal computers, social media has expanded to the point that the people behind the social sites need to consider how to safe guard their users against bullying trolls, and gradually so have attitudes towards mental health. I not saying that the entire world is now more open minded and educated but charities such as Time to Change, Mind and Heads Together that have been working endlessly to educate and encourage society to change the way it thinks and behaves towards those with a mental health illness. In my opinion mental health still has yet to cross over cultural boundaries with some cultures still not understanding or even accepting that mental health illness is real instead believing it can be treated by becoming more religious or is a form of possession. Thinking a person cannot ever lead a normal life but with the right treatment it can be possible. I’m not discounting that religion in some cases has helped bring calmness but it’s not to be used as a way to guilt trip the sufferer into thinking they are being punished by god. A lot of work is still to be done the Asian community in the UK as it’s about breaking down age old barriers and changing the way older generations in particular think. Saying this credit has to be given as cracks are slowly starting to appear in those barriers, communities are learning and understanding that sometimes things in our heads get a bit jumbled up and that we need a bit of help to make things a bit less blurred. When I mentioned treatment your mind may have automatically gone straight to medication but this isn’t always the case. Treatment could be a series of counselling sessions in a group or one to one bases in the way of Cognitive behavioural therapy (CBT). Exercise not only to helps to improve both mental and physical health but encourage socialisation. Fitness in Mind in Brentwood run an series of inclusive exercise classes ‘…designed to promote, encourage and provide physical activity as an aid to mental wellbeing.’ The Mind website has a list of alternative options if counselling or exercise doesn’t interest you. Despite all these efforts it is still difficult for many people to share the demons they are battling with others for fear of being labelled by their illness. Time to Change recently led the campaign #inyourcorner this campaign focused on being there for your friend when they need you the most and also touching on men’s mental health encouraging to let go of the idea that sharing with you have a mental illness is not a sign of weakness. 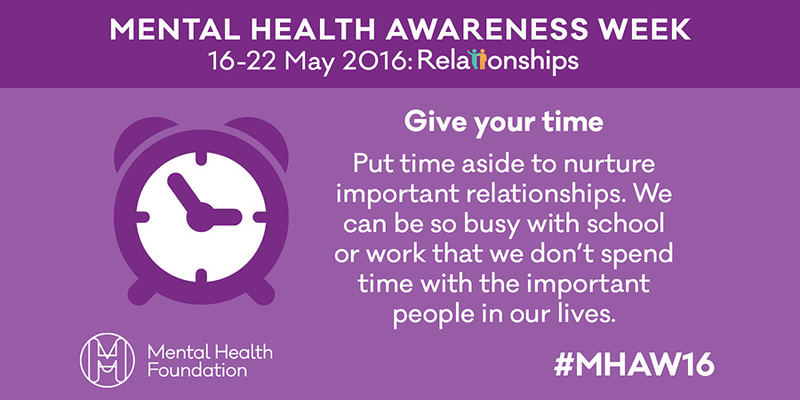 Mental health awareness week is 8-14 May #MHAW17, there will be events taking place across the country to get people talking and breaking down those walls. It’s an excellent opportunity to learn more about mental health and how you could support someone whilst they go through a dark patch and to share your own experiences. Whatever you think mental health illness is may not be true. Don’t be fooled into thinking it couldn’t happen to you, mental health illnesses can affect any one of us at any time. You don’t have to understand mental health sometimes all you need to do is listen, keep an open mind and be supportive because one day it could be you that needs the same in return. 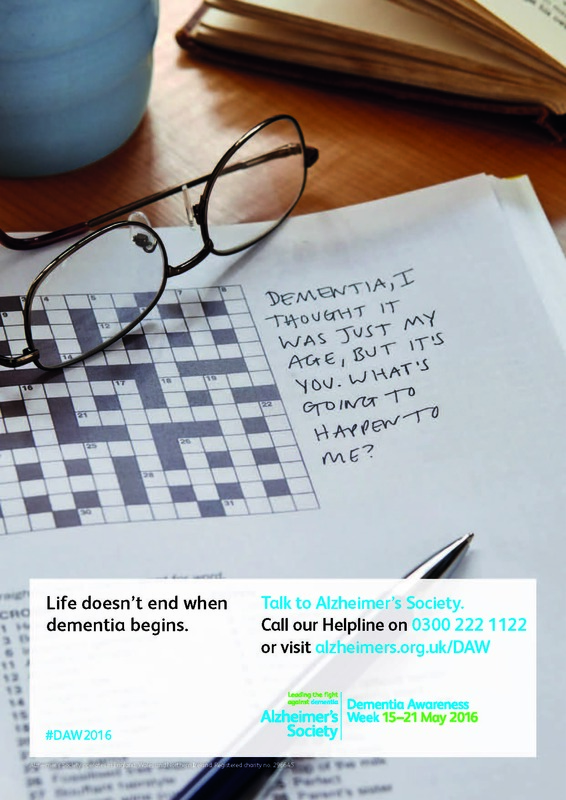 Quick post to remind everyone that Mental Health Awareness & Dementia Awareness Week begins today. Despite the publicity these days surrounding mental health and dementia there is still a lot of work to be done to raise awareness about these conditions and how not only those with a mental illness and dementia are affected but also their families who most of the time are full time carers. Have a look at the different events taking place in your area and go along, put aside any assumptions and preconceived ideas about what people in these situations are like and what they might be going through, meet the people whose lives are affected on a daily basis and talk to them. If you’re in the Brentwood area tomorrow, pop along to the Cream Tea event supporting Mental Health Awareness week at The Spread Eagle.